According to the legendary investor Jim Rogers, the best investment opportunity for shareholders and investors worldwide is Myanmar. Myanmar used to be the richest country in the entire Asian continent in 1962. However, things started going downhill from there and by now, they are one of the poorest countries in Asia. There are enormous opportunities for people there as Jim sees them opening up to new business much like the same way China did way back in 1978. Whenever this happens, there is a wide range of opportunities to move forward and the same can be said about the country of Myanmar. Different developments are expected and one of those is in the oil prices. Jim Rogers is also more optimistic about the idea of agricultural investments rather than anything else since its price is supposedly the best. There are not many things in the world that are as depressed as the prices of agriculture. Therefore, Jim Rogers thinks it is definitely agriculture. 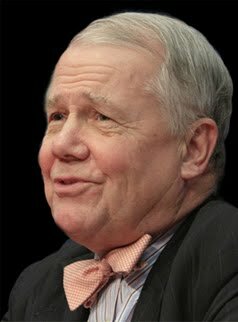 Jim Rogers believes that the world will see a revival in atomic energy plans. Jim believes that people will not abandon the idea of atomic energy since the field is competitive, economic and clean if properly controlled. Uncontrollable atomic energy can off course lead to a disaster but many countries in the world like the Koreans, the French and the Chinese are going forward with their plans for nuclear power plants. Jim Rogers was also quoted as saying that strange things start happening here and there when the finances start collapsing. The massive increase in the oil production by the Saudi's could bring down the prices of oil in the US as low as 40$ a barrel and 2$ for a gallon of gasoline by November this year. When asked if this was a reasonable forecast and whether the world would get to see such oil prices, Jim Rogers replied that it was possible to see anything. According to Jim, there were lower oil prices back in 2008 before the market collapse. All sorts of strange things start happening when the markets start to collapse. We saw that in 2008 and we might also get to see it in the future.